The Turnbull Government is “politicising” Geelong’s City Deal agreement at the expense of other cities around Australia, according to the federal opposition. 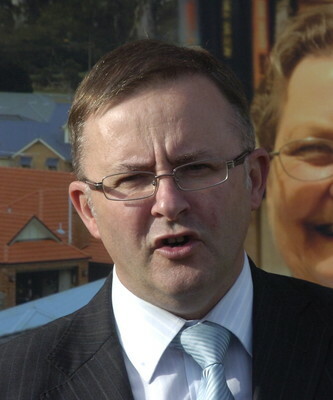 Regional development shadow minister Anthony Albanese accused the government was “prioritising some cities ahead of others based on the electoral cycle”. “At senate estimates (last) week the Cities Division was unable to confirm precisely when Darwin, Hobart and Perth would finalise their City Deals but was explicit that Geelong would receive its City Deal in September or October this year. Coincidentally, this is just ahead of the Victorian State Election in November,” Mr Albanese said. “This follows a string of other remarkable coincidences including the announcement of a Hobart City Deal in the lead up to the Tasmanian State election. And, of course, we already know that the Townsville, Launceston and Western Sydney City Deals were announced during the 2016 federal election campaign and largely mirrored commitments already made by Labor. Prime Minister Malcolm Turnbull and then-acting Premier James Merlino signed Geelong’s City Deal, Victoria’s first, in January. The three-way agreements between each level of government are intended to advance regional priority projects, with Geelong’s focussing on initiatives such as revitalising the city centre and upgrading the Great Ocean Road. City Deals should ideally provide an opportunity for “genuine collaboration” across the three tiers of government without consideration of electoral cycles, Mr Albanese said. “But in practice, the Coalition’s City Deals are a far cry from this model and instead a reflection of political convenience. The Liberals’ federal Liberal MP for Corgangamite rejected Mr Albanese’s allegations of playing politics, saying the Turnbull Government’s City Deal demonstrated “very strong commitment to Geelong and our region”. “The only one playing politics is the state Labor government,” Sarah Henderson said. She accused Labor of holding up the Geelong deal as the Andrews Government stalled on local priorities. 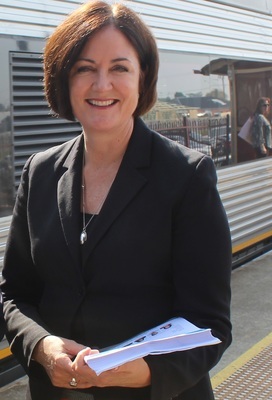 “Regrettably, progress on the City Deal has been frustrated because Labor refused, for many months, to hand over business plans for the convention centre, the Shipwreck Coast Masterplan project and the rail duplication between Waurn Ponds and South Geelong,” Ms Henderson said.